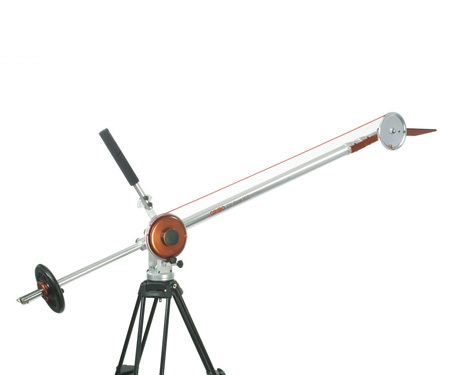 The V5 lightweight telescopic DV boom is designed to carry a maximum load of 3kg (camera incl. accessories) and has a standard mechanical tilt option (+/- 60 degrees). The boom is especially made for quick set-up and is very light (5,5kg) with a compact packed size (117x22x16cm). 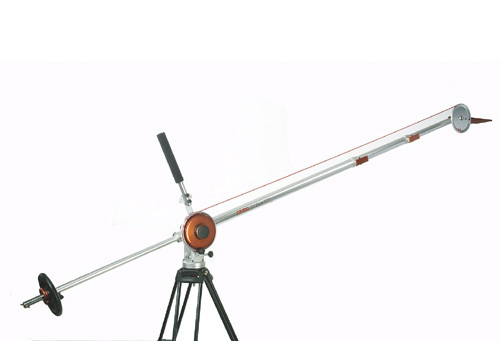 The V5 boom has an extension range from 135 to 275cm from tripod to boom end. The boom tail uses standard fitness weights and slides into the main boom section for either counterweight adjustment or packing. The weight bar, including weights, can be taken from the tail (one knob) for an even more compact travelling size. The V5 has a vertical set-up as a standard feature for an even more compact construction. The handle, used for the tilt movement,is adjustable to fit the users need. It can be fixed to keep the camera level or in the same angle throughout the vertical boom movement. 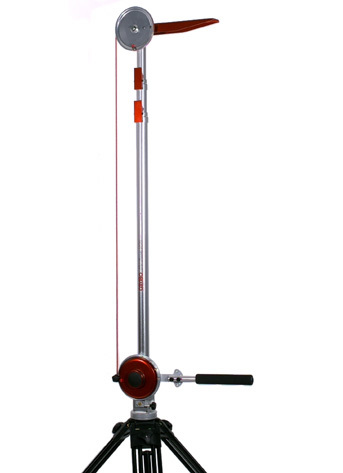 The length of the steering cable is easily adjustable to fit the telescopic set-up of the boom. It rolls on to a wheel next to the steering handle.